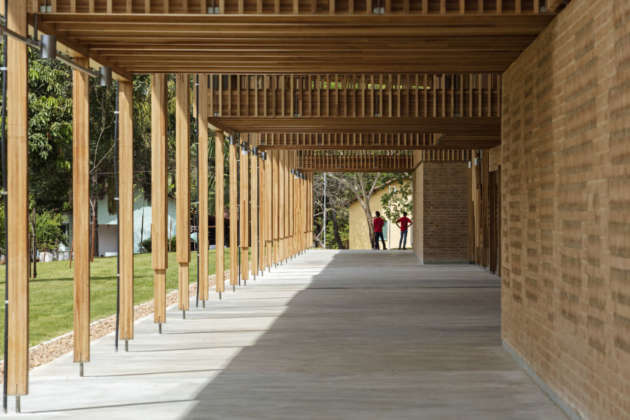 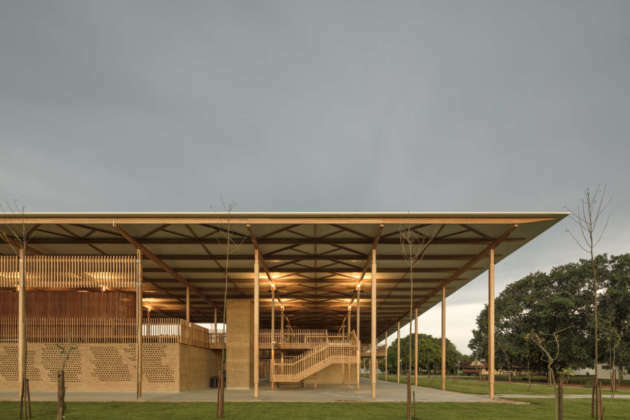 The RIBA International Prize 2018 prize was awarded to the Children Village project of the Aleph Zero studio by the Brazilian architects Gustavo Utrabo and Petro Duschenes together with the designers Marcelo Rosenbaum and Adriana Benguela from the Rosenbaum studio. 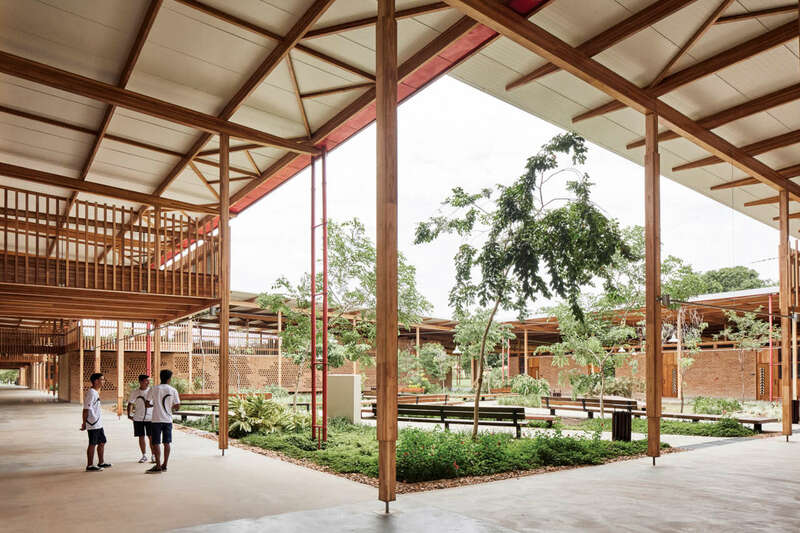 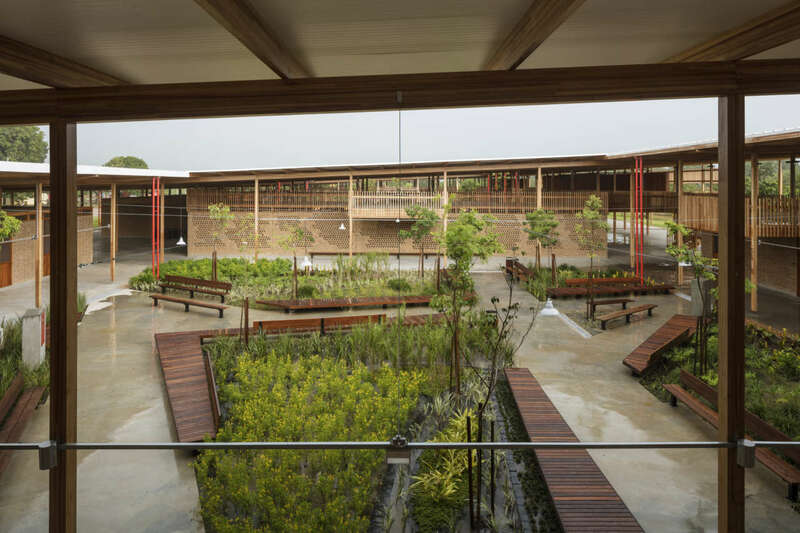 The new school complex - located in the rainforest in the north of Brazil - is thought of as an instrument of social transformation able to accommodate 540 children aged 13 to 18 and offers "an exceptional environment to improve the life and well-being of children at school and shows the inestimable value of quality school design ". The boarding accommodation is in two identical structures, set either side of the school campus, one each for girls and boys. Each is defined by a huge timber roof canopy, which hovers over freestanding timber structures providing the accommodation. 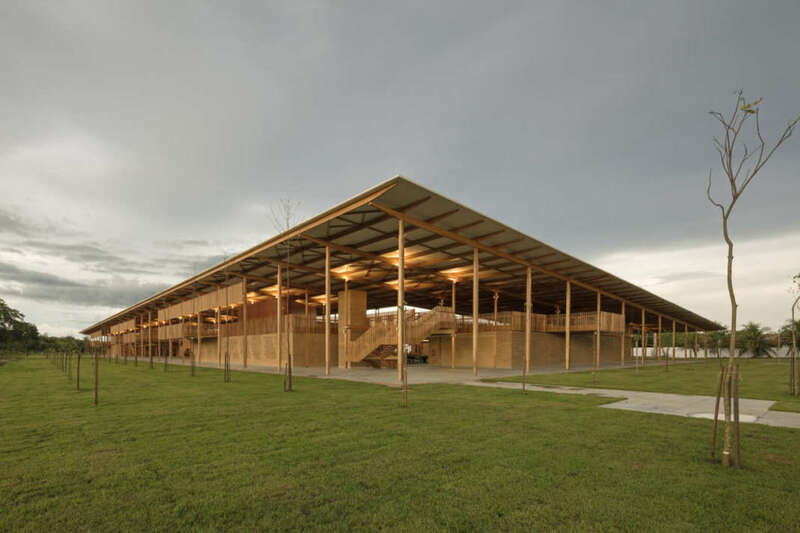 The roof is supported on a grid of elegantly detailed, glue laminated timber beams and columns, a very unusual building material for Brazil. 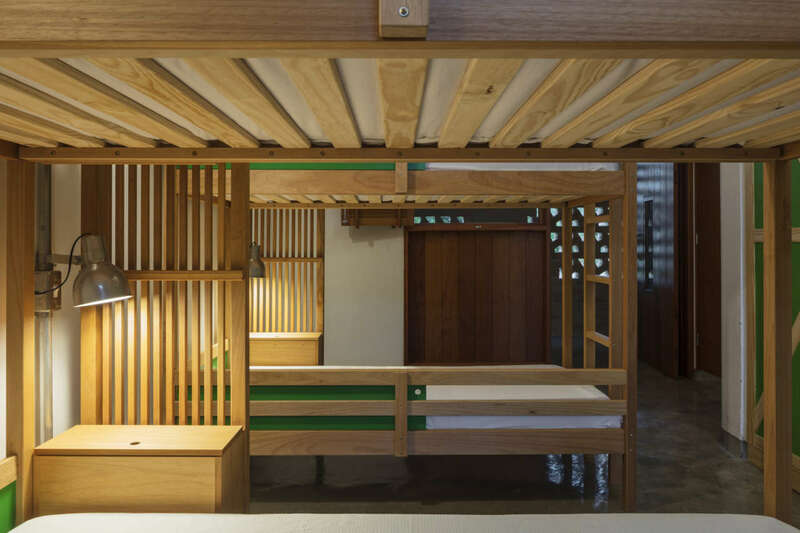 There are large openings above three beautifully landscaped courtyard gardens, which are lined by the dormitories. Each has beds for six children and is distinguished by a uniquely patterned door panel. 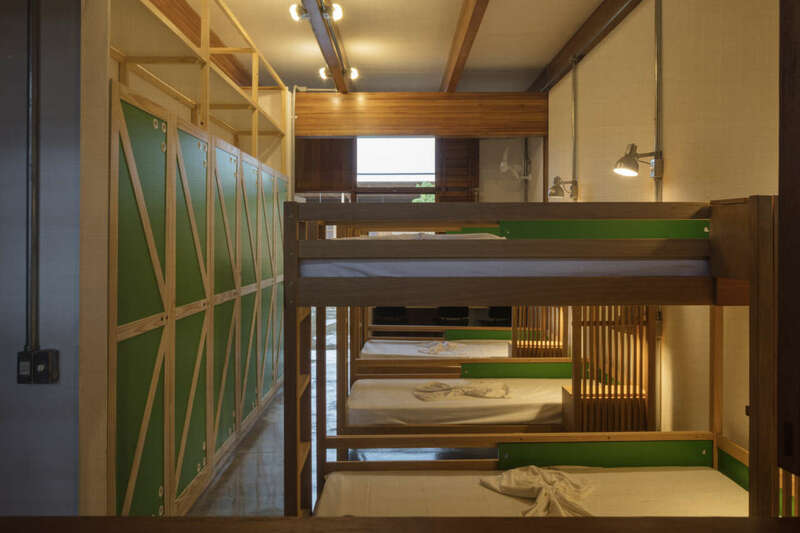 Internally, the furniture has been specially designed and every room has toilets, shower rooms, and a laundry, which is ventilated using perforated brickwork, handmade on site. 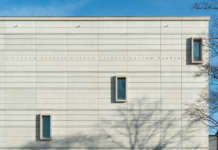 The tropical climate - with summer temperatures reaching 40 degrees - was one of the main challenges faced by designers. 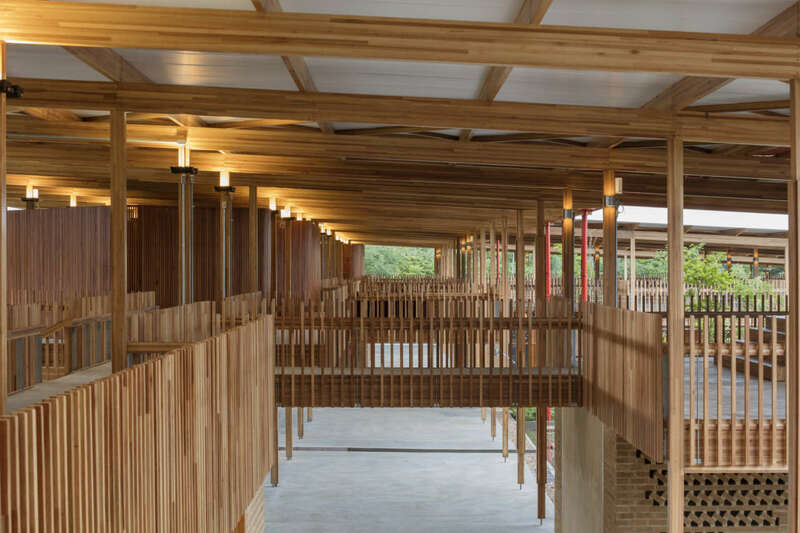 The large roof, which unifies the whole project by creating large shady porches, is made up of a structure composed of beams and columns in laminated wood with crossed layers reinterpreting, in a contemporary key, the local technology. 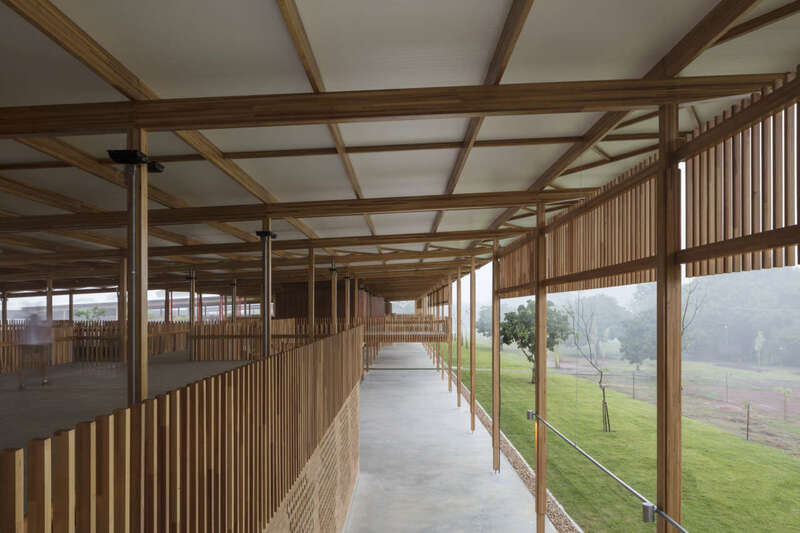 The design of the roof has been conceived as a large veranda where the interior and exterior blend together to open up to the surrounding landscape, the true protagonist of the whole project. On the first floor instead of developing common areas where students can read, watch television, play games and relax in the hammocks. 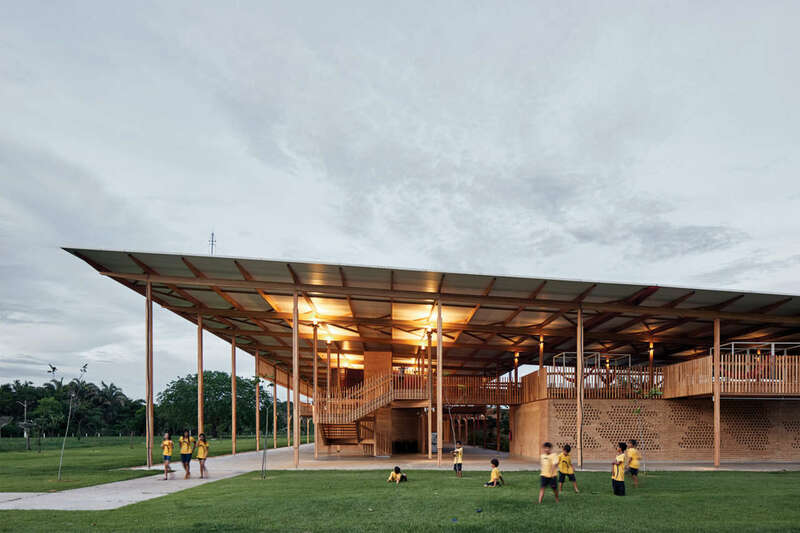 Children Village not only saw the participation and collaboration of children, teachers and the community to better understand their needs and needs, but also exploited traditional and vernacular techniques. In order to have an ecological and sustainable building, the resources and materials used are local ones, such as walls and grids built with handmade earth blocks on site. 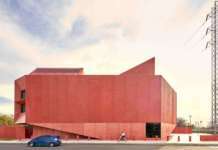 This procedure creates a strong link between architecture, the environment and the local community.